The amazing John Newton (1725-1807), writer of the greatest hymn (Amazing Grace) of all-time, was a “slaver” on a ship that hauled African captives to Great Britain for sale. His life was debauched and depraved beyond excess. He had no use for God. He should have died at sea but God showed him great forbearance and mercy. He never got over his own conversion and over time he would become an evangelical priest in the Church of England. His writings are some of the finest Christian heart-material I’ve ever discovered. 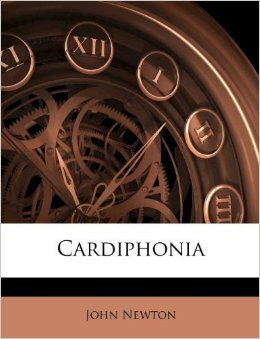 You will discover this in his great classic, Cardiphonia. Newton’s famous hymn, Amazing Grace, sums up his own story very well. John Newton once said that when he got to heaven, and appeared before the judgment of Christ, he believed that there would be three great surprises. I find his response to be a delight that has filled my heart with sober realism for decades. Newton said there would be three great surprises in the last day. First, there would be people there with Christ that we never expected to be there. Second, there would be people not there that we felt would be there, reminding us that we cannot judge this matter at all. But Newton said the greatest surprise of all was the third one, namely that an old slaver named John Newton would be there by the grace of God! Next time you think you know the Lord’s final judgment remind yourself that the one thing that you should be deeply concerned about is not who will, or will not be there, but rather whether or not you will be there because you are a child of his grace! Lhezlie de Guzman liked this on Facebook. GeorgiaAna Larson liked this on Facebook. Mark Steinacher liked this on Facebook.